Welcome to B.W. Zimmerman & Associates on the Web! from 11:00 a.m. to 4:00 p.m. 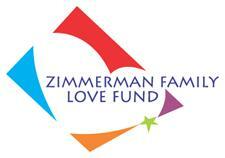 The Zimmerman Family Love Fund was established on April 1, 2002 in honor of and as a tribute to the memory of our father, Bruce W. Zimmerman ("Zim"), who died from Amyotrophic Lateral Sclerosis (ALS) on March 28, 2002. ALS is a progressive, degenerative and always fatal neuromuscular disease; it is also known as Lou Gehrig's disease, as Lou Gehrig died in 1941 from ALS. The cause of ALS remains unknown and there is no cure. Zim's vision for the Fund was to establish a mechanism for raising money and providing resources to help others affected by ALS and to support the people and organizations who provided such valuable support to him and his family during his ALS journey. The mission of the Fund is to actively contribute to improving the quality of life of persons with ALS (PALS) and their caregivers (CALS) by raising funds, increasing public awareness and understanding, and supporting other organizations engaged in similar endeavors. We are all striving for a world free of this disease, one where no loved one, friend or acquaintance of yours ever has to hear, "You've got ALS." When asked about his life, Zim said, "I have loved and I have been loved." Your contribution to this Fund will help to continue the love. In addition to the organizations above, members of the Fund will collaborate with and be advocates to professional health-care providers, suppliers of durable medical equipment and adaptive technologies, insurance companies, and government representatives in order to seek improved quality of life for PALS, their caregivers and other loved ones. Your contributions to the Zimmerman Family Love Fund may be sent to 4811 Jonestown Road, Suite 227, Harrisburg, PA 17109-1751. You CAN make a positive difference in the lives of others! We thank you for your compassion and loving kindness. Our web site is hosted on servers powered 100% by wind energy.